The Center for Disease Control and Prevention notes that 70 percent of children will experience cavities in their teeth by the age of 19. If left untreated, these cavities can lead to tooth loss and a lifetime of dental problems. Dental sealants are an option that protects the chewing grooves of the teeth from getting cavities. A dental sealant is a thin, plastic coating that is applied to chewing surfaces to prevent the tiny grooves and fissures in young teeth from developing cavities. These sealants bond into the small depressions, protecting teeth from bacteria that cause dental caries (cavities). The sealant is applied on teeth after cleaning any food or plaque from it. The teeth are first roughened (etched) with an acid wash, and then, the sealant is painted onto them. It is then allowed to cure using a curing light. These sealants can last as long as 10 years and will protect the chewing, cheek or tongue surface of the teeth as children grow into young adulthood. Dental sealants are an underused resource that can help children who have difficulty cleaning back teeth or who are vulnerable to cavities. The surfaces in between the teeth cannot be sealed so flossing is still the best way to protect the teeth from interproximal cavities. Newly erupted teeth may have many very small grooves and indentations that catch food and may be difficult to clean properly. The teeth at the back of the mouth, in particular, can hold food debris that allows bacteria to thrive. Sealing the chewing, cheek or tongue surfaces of back teeth ensures that bacteria will not be trapped in these mini crevices. Sealants can be particularly important for children who have thin tooth enamel or a tendency toward developing cavities easily. Dental sealants should be applied on newly erupted permanent molars and pre-molars. This generally occurs between the ages of 6 and 14. 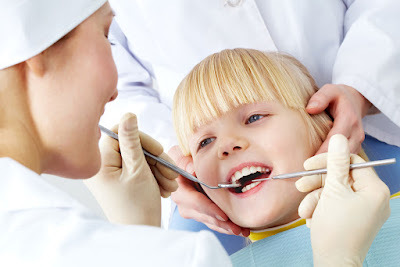 Sealants applied at this time can protect children’s teeth during these cavity-prone mid- childhood years. Dental sealants can be a useful part of preventative care for children’s oral health. They can provide that additional measure of protection against tooth decay that can lead to tooth loss. Your child can enjoy oral health throughout his or her life if you form good habits early and visit your dentist regularly. Dental sealants can be part of the ongoing care your child needs to maintain an attractive and healthy smile. Call Playtime Dental today to schedule an appointment for your kiddo or if you have any questions!